SIEM has a reputation as a helpful and must-have solution for improving security for any enterprise. However, Forrester experts say that SIEM has certain limitations that make it inefficient without additional investments in technology and personnel. For the April issue of SysAdmin Magazine, we’ve gathered analysts’ advice about managing SIEM data. Our experts share opinions on how to align SIEM planning with compliance regulation and how to reduce SIEM deployment costs and increase the value of SIEM investment. You will also find IT pro tips for setting up multiple passwords and account lockout policies as well as how to detect who deleted a group policy object by native auditing. Discover the free tool of the month that will help you audit changes to your Active Directory at absolutely no cost. 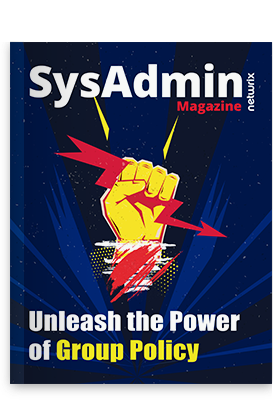 Get your PDF copy of SysAdmin Magazine.